Light and airy desserts like this Easy Orange Fluff are the PERFECT way to celebrate warmer weather. 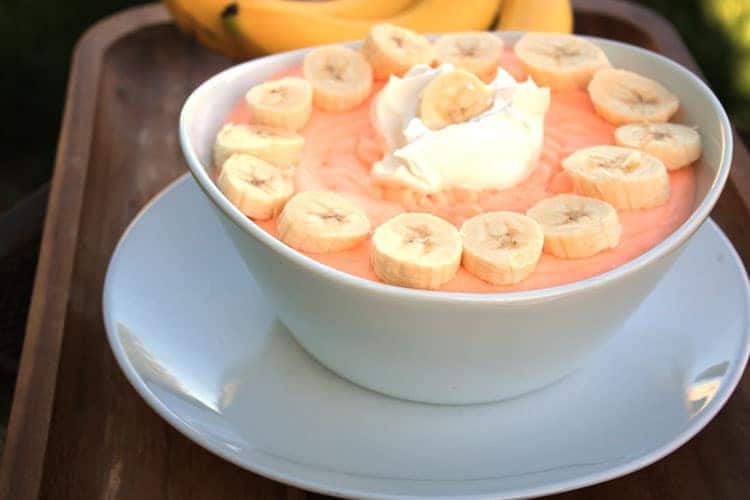 We’ve mixed this dessert up a tiny bit differently because we topped it with bananas and a dollop of whipped topping. Both of those are totally optional, but it made it look quite pretty and perfect for serving up at a backyard family picnic. We love serving up dessert in the summer. 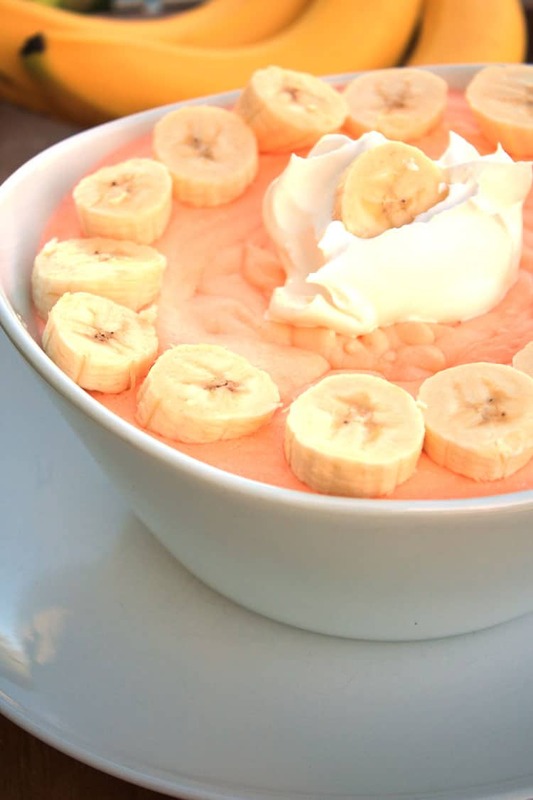 And lighter desserts like this one make wanting something sweet a bit more guilt free. 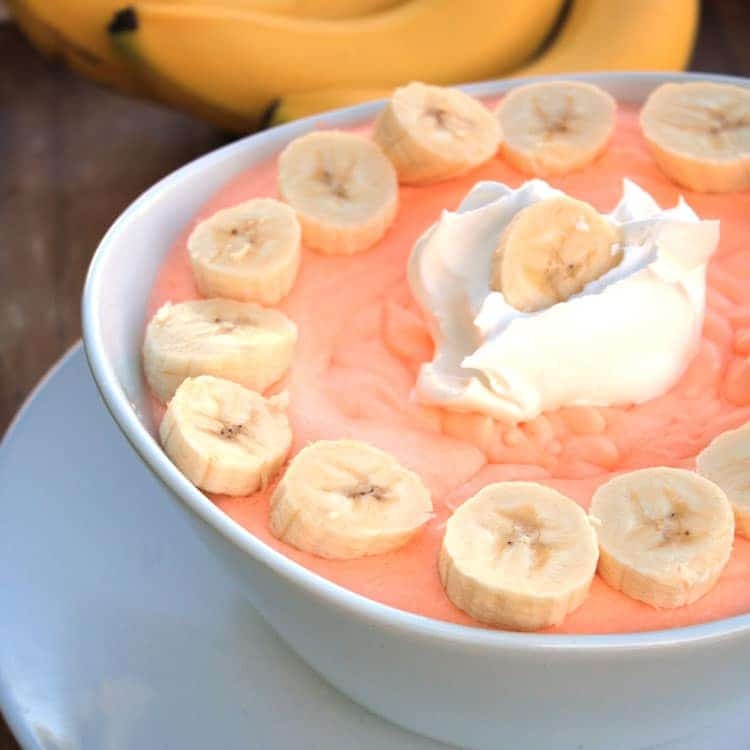 Yes, you’ll occasionally find us savoring spoonfuls of flavored gelatin mixed with strawberries and fat free whipped topping…it’s a shameless dessert that tastes good and really fills you up. 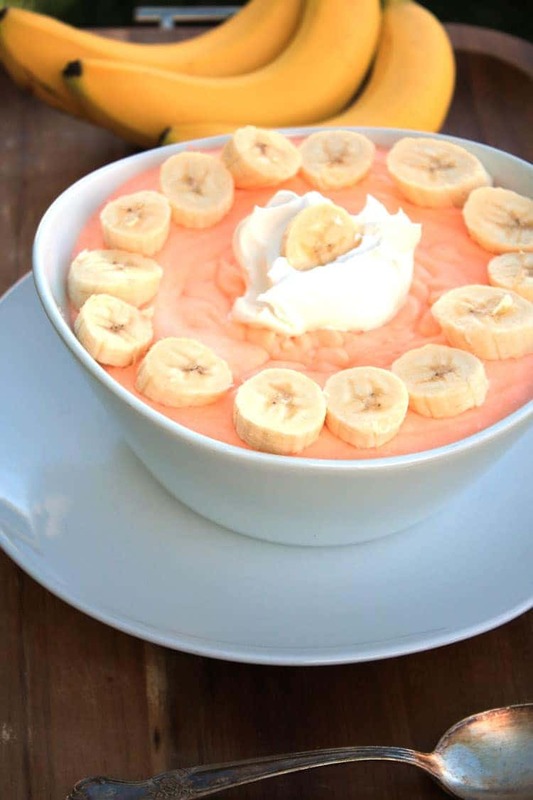 You will enjoy this simple, low-fat dessert if you like orange flavor. You could also easily change this up by substituting the flavor of the gelatin and adding a different fruit or berry. The possibilities are limitless! Mix gelatin together with 1 cup boiling water until gelatin has completely dissolved. Add 1 cup cold water and let it sit for 5 minutes. Using electric beater, beat in pudding mix until well combined. Fold in the drained mandarin oranges and whipped topping. Chill and serve. You can also stir it up before you serve to disperse the fruit throughout the dessert more evenly, as it does settle on the bottom when chilling.